I have to confess; I am a sucker for an adult colouring book. I wasn't so sure at first, thinking it was just a bit of a craze that would soon pass by, but as someone who suffers with anxiety problems I find colouring books a way to relax and unwind. There is something so satisfying with bringing someones drawings to life and is a great way to chill out after a stressful day. 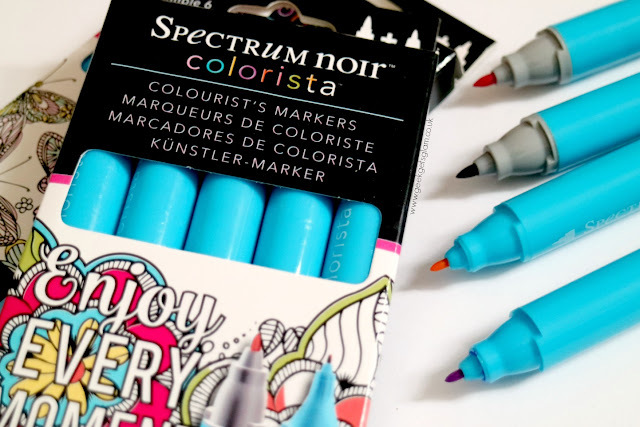 The Colorista range by Spectrum Noir is a 'revolutionary colouring system' created by the team at Crafter's Companion. The range is designed to make colouring easy for everyone. Whether you're a complete beginner or a colouring expert, the specially designed markers and pencils are the perfect addition to a craft lover's collection. 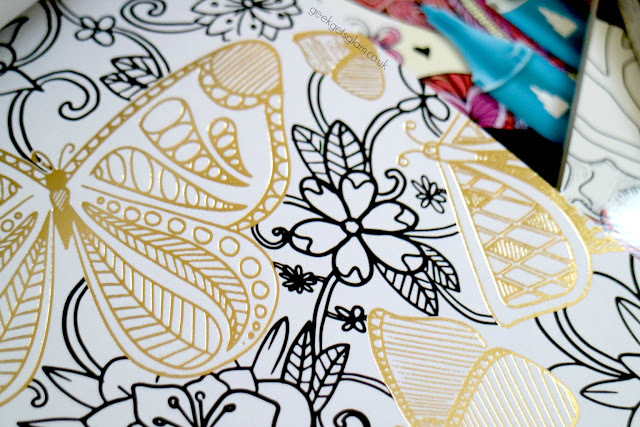 I got the chance to try out the Colorista range for myself and see if the brand could really bring adult colouring to a new level! I was amazed at the size of the range - honestly my jaw hit the floor when I opened my box of Spectrum Noir goodies and that's just scraping the surface of the products they sell. The six sets of pencils I received had every single shade of every colour you could possibly need. 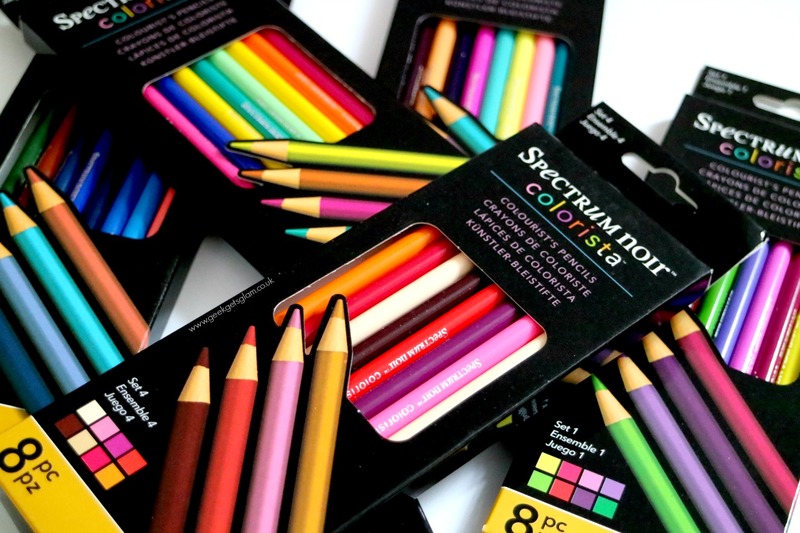 It was quite nostalgic using these because it reminded me of my art classes in school and always being envious of everyone who had more coloured pencils than me - I don't need to be jealous now haha! The pencils are high quality and durable. They are quite sturdy and could easily last a few hours on a colouring session! They have good pigmentation, and you can easily blend with these pencils. The markers are great too. Again, in every single colour you could want and fabulous quality too. They aren't streaky and leave nice bold lines which is ideal for colouring, or I thought they'd be good for anyone wanting to try calligraphy style prints with quotes. The pens also have two nibs; one broad chisel for larger areas and one fine bullet nib for more accurate patterns and design work. I think that's such a unique aspect for pens like these as you often find colouring pens only come in broad or fine liner - these have the perfect balance with the two options. Finally, let's talk about Spectrum Noir's colouring books. These books are quite unique to other colouring books I've seen as some include gold lining (as I've shown in my pictures) and even some books have glitter pages! The pages themselves are thick so great for using markers or pencils without the colour seeping through the page to the other side. Overall I am really impressed with the Colorista range. It's nice to see a brand put that much thought and attention to detail to make colouring accessible and appealing to everyone. 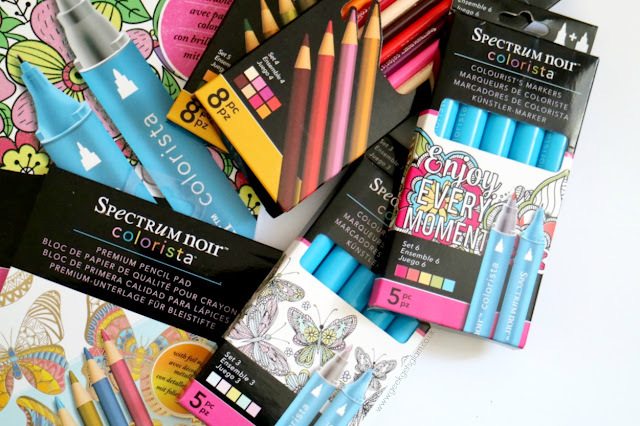 It's a crafter's dream to own such a wide range of colouring tools and Spectrum Noir have put utmost thought into perfecting a range that's ideal for colouring. I've seen online a range of Sparkle Pens that I'd quite like to try out next! If you'd like to try out the range, Crafter's Companion stock it all at this link: Spectrum Noir. I'm actually going to be blogging about a colouring tutorial course over the next couple of weeks, so if you'd like to see more of what these pens are capable of, keep your eyes peeled for more blog posts in the coming weeks! *Disclaimer: The items in this post were kindly sent for consideration by the lovely team at Crafter's Companion. Content written by myself and is all my own opinion.